I was recently interviewed for the Bold Tendencies podcast, talking sound, place/space, and #placemaking. I'm podcast number 8. I am delighted to announce that I am joining Tate as Head of Tate Exchange. I'll be based at Tate Modern, and working across the Tate's sites. Tate Exchange is both an experimental space and a programme that looks at the role of and the value that art can play in society. It is a space for dialogue and a platform to test new ideas that directly address issues of society; explores artistic practices/processes with the public; and works to create a closer relationship between Tate as an institution, creative collaborators and its many audiences. I start on 5th February and am incredibly excited to be joining an amazing team and an institution (and that have made me feel so welcome already) I have admired and enjoyed all of my life, and to be playing a part in the story of Tate Exchange. It is a space that I have admired since its inception and this role is everything that my sector and academic career has been leading me towards and I can’t wait to get started. All the info on Tate Exchange can be found here: http://www.tate.org.uk/visit/tate-modern/tate-exchange. I’m sad to leave Futurecity - my colleagues there are the most dedicated, professional, creative and inspiring that I have ever worked with. I’m sure its not a final goodbye and I urge anyone involved in placemaking to beat a path to Futurecity’s door. 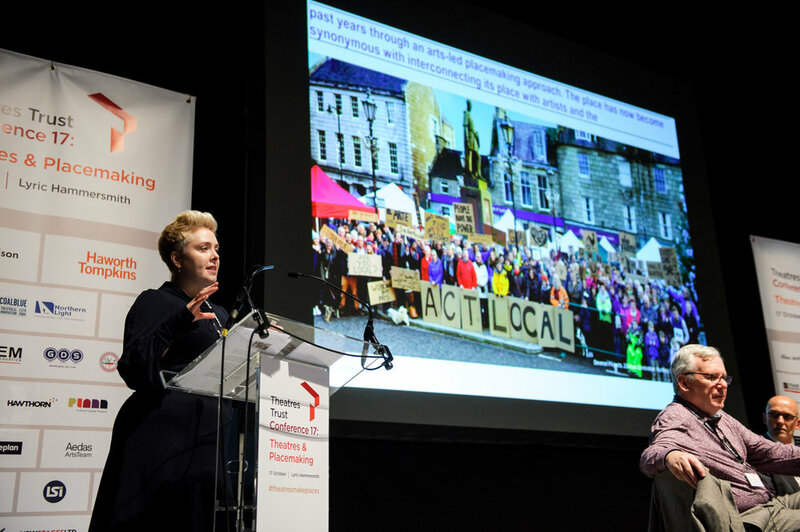 It was an honour and a joy to give the opening keynote at this years Theatres Trust annual conference, on the topic of placemaking. The day was packed full of fascinating, inspiring and useful case studies of projects up and down the country, a great insight into how others are approaching the placemaking challenges in their areas, a very beneficial knowledge exchange. Thank you to Jon Morgan and team for putting it all together and creating a programme that really got to grips with the subject matter across a diverse cohort of stakeholders. The slides and notes from my keynote can be found here, defining what placemaking is, what placemaking means for theatres and theatre practitioners, and challenges for the future. With the theme of the 2018 AAG conference being Black Geographies and Geographies of Struggle and the Association’s concern with engagement outside of its academy thresholds, we are seeking papers from academics and practitioners from across the geography, arts and community development disciplines and sectors to form a three-part whole-day session on these issues. Session 1 will focus on practice-based research; Session 2, on theory and its application in this regard; and Session 3, on practice and practitioners. We are seeking contributions from a global field from all settings; urban, suburban and rural. We are especially interested in contributions from practitioners and ‘non-academics’ and in directly including the community voice in the paper presentations. We aim to include both qualitative and quantitative research and project evaluations, as well as methodologies, and critiques of the same. Please submit an abstract for consideration, of no more than 250 words, by 20th October, to both cara@caracourage.net and anita@smartlab-ie.com. Successful applicants will be informed by 23rd October for their timely registration to AAG 2017. We cannot offer funding for attendance at the conference at this time so responses to this CfP should be made on this basis. For all information relating to the conference and its registrations deadlines (25th Oct 2017), please visit: http://annualmeeting.aag.org. The RSA funded the series of walking tours of routes of the Modern Brighton and Hove Map that have rolled out this summer, and I blogged for them on the subject - it can be read here. I've been a Fellow of the RSA for some years and its been great to be part of the very active and inspiring Brighton and Hove chapter, and so grateful for its support of the map project. My Built Brighton column in Viva magazine this month focused on the many varied animals that can be found on the buildigs around Brighton and Hove. It was a joy to write and also the chance to come full circle with my Brighton Look Up project, started some four years ago, as it was a chance to bring together all those dogs, cats, birds, insects, and a flamingo, that can be found 'living' amongst us in the city. Read the feature here - go to the back page and work back to page 97. Delighted to be asked to join a panel at the Chelthenham Literary Festival, on 11th October, to talk The Archers, with a very esteemed guest alongside! Arts in Place - free for the next 60 days! 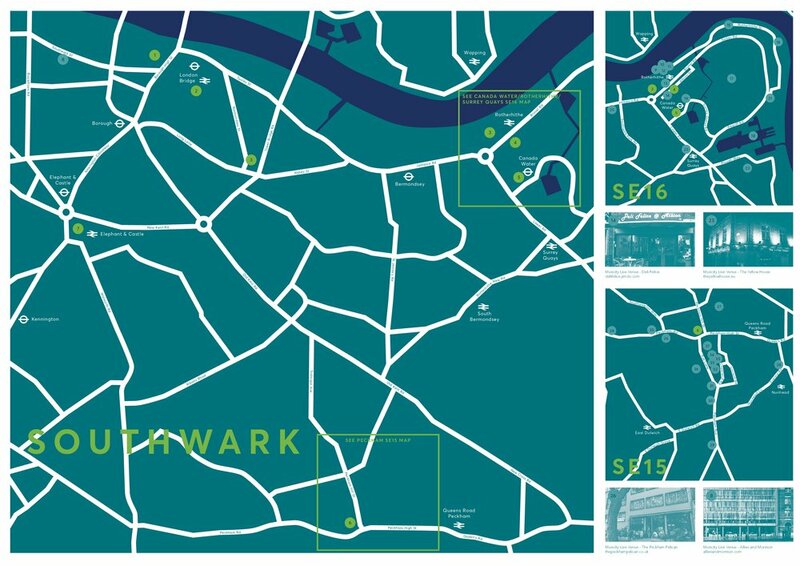 In collaboration with Readcube, my Arts in Place book on my research into social practice placemaking and case studies in London, Dublin and Indianpailos, published with Routledge, is available for free download for the next 60 days. Its in PDF form and can be downloaded here. Dr Nicola Headlam and myself are delighted to be working with Emerald to publish the second Academic Archers book, out in the Autumn. To keep up to date with all things Academic Archers, head over to its website and sign up to its newsletter.